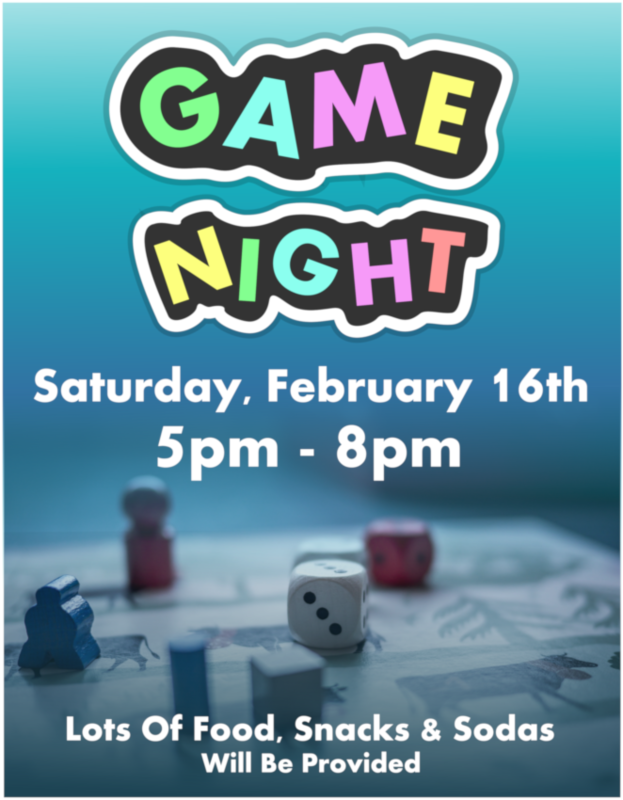 Saturday, February the 16th, from 5pm – 8pm A Million Drops will be open for Game Night! Lots of food, snacks and sodas will be provided! Please come on out and have some fun!